Live access to your youtube uploads, subscriptions and playlists. RML for Youtube seamlessly integrates a live view of your Youtube account into the WordPress Media Library. You can navigate and search through all your videos, playlists, subscriptions and trending youtube videos and then quickly insert embeds of these videos in your blog post and pages without leaving WordPress. 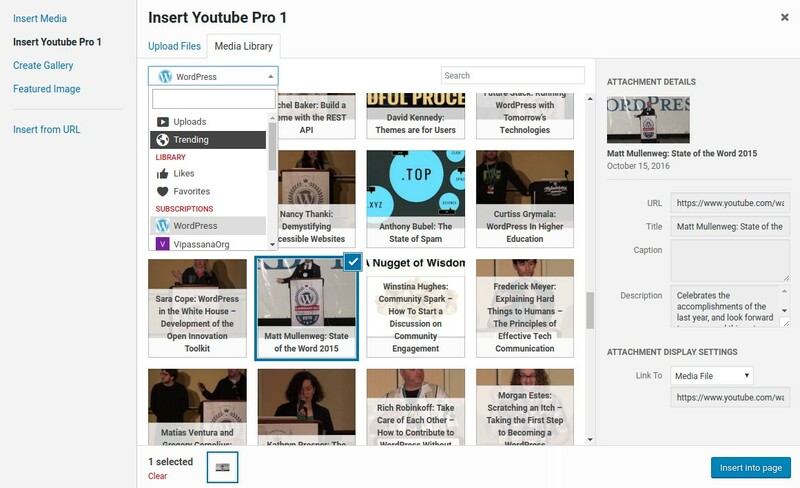 Whether you want to safely share access to a youtube account through authors and contributors or just want to ease your publishing process, you will love RML Youtube Pro! Connect as many Youtube account as you want and with as many videos as you want. No limit! Quickly search content on youtube and insert embed videos on your site. Upload directly to your Youtube account right from the media library. The plugin makes it very easy to navigate your youtube uploads, playlists, subscriptions and insert youtube videos as embeds in your post or page content. You can also search youtube for relevant videos to embed in your article. You can improve your next article and save time! 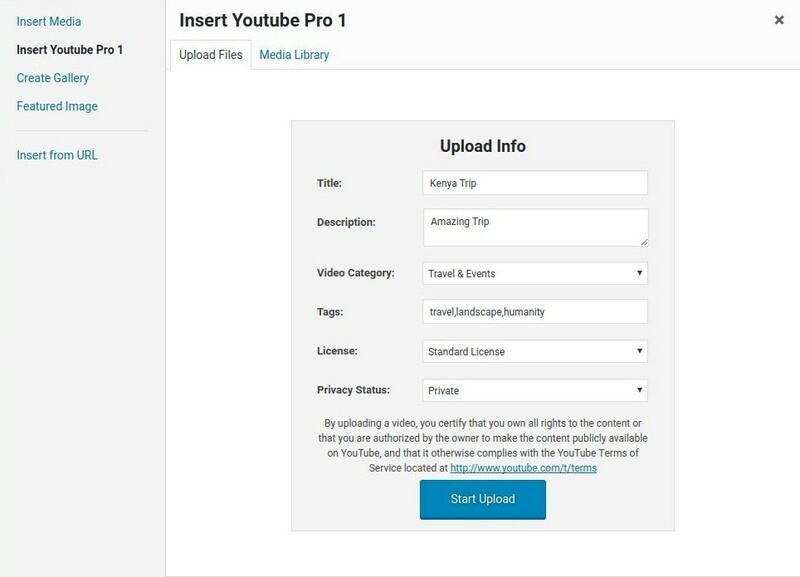 RML Youtube Pro also gives you the ability to upload videos directly into your Youtube account without leaving WordPress. The file is uploaded from your browser straight to youtube. Therefore the transfer does not use your server bandwidth. You can then save time and bandwidth while working on your blog post and pages. The plugin is carefully developed so that it works out of the box with most themes & plugins. The list of themes and plugins is outstanding out there and occasionally, custom work will be needed to enhance compatibility with some of them. If this turns out to be the case, we are glad to help and make the necessary changes promptly. Please touch base with us if you have questions regarding compatibility with any plugin or theme you use.